American soldiers have access to all kinds of technologically advanced weapons. From tanks to rockets to rifles, there are plenty of offensive and defensive options at their disposal. 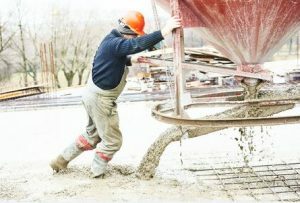 Yet, according to Major John Spencer, writing in an article published by the Modern War Institute at West Point, the most effective “weapon” on the modern battlefield is something that you might not expect – concrete. Spencer wrote about how concrete helped him and his fellow soldiers immensely when he was deployed in Iraq. Specifically, Spencer discussed the concrete T-walls that American soldiers often used in Iraq to gain a defensive and strategic advantage against enemy combatants. These T-walls were often as high as 12 feet tall and placed alongside major roads to protect them from outside influences. While T-walls themselves didn’t do any direct damage to the opposing forces, they did make life more difficult for those who tried to attack American soldiers. The walls cut off enemy supply lines, stopped enemies from utilizing IEDs, sectioned off neighborhoods and made them safer, and, in general, proved to be incredibly effective at protecting the lives of American forces and their allies. People sometimes forget just how strong and resilient concrete is, and it doesn’t lose those abilities outside of the warzone. Concrete is an incredibly affordable, adaptable and durable solution in a wide range of domestic applications. Whether you want to build a concrete driveway, pour a new garage floor or even install a new concrete countertop, Templin Concrete Construction can show you the benefits of using concrete in a wide range of applications. To learn more or to get started, call us today at 612-388-1945 and schedule a consultation for your next project.